I might have 150 SC by the end of the collab, but I'm not as invested as I was for Koihime so not sure if I'll even want to pull or not. Might come down to how good the characters are. Or I could just save for a while. I don't think I'm really lacking anything I desperately need at this point in the game, so it mostly just comes down to strength and/or overall coolness factor at this point. I've even still got a black select ticket left, but my two most wanted units atm are Silvia and Kyuubi, so it's no good for that. Platinum Archer "Kemonomimi Archer Kyallop(?)" Range increases. Increases attack to self and all archer and bowrider units. Infinite skill duration. Range increases and shoots three arrows consecutively. Maximum HP permanently decreases upon skill activation. Arrow shooting speed slightly increases (self). Will not invalidate projectile attacks. What is Knight [7Sins] class? Block 2, attack does not decrease in Makai, melee class. Will not receive damage from enemy attacks for a short time. Counterattacks enemy attacks and deal damage to them equal to their attack. Defend against 5 surrounding enemies once. Deals range attacks that ignores magic resistence. Attack increases as HP decreases. 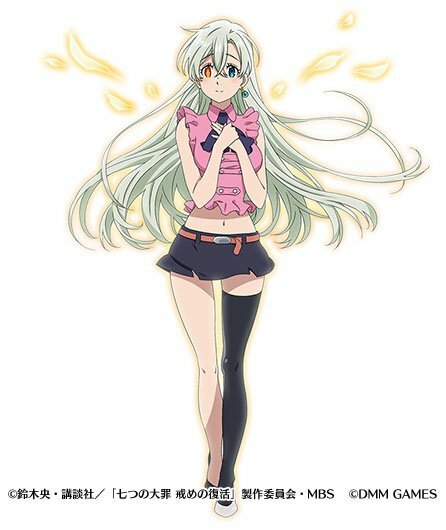 While deployed, attack of all <Seven Deadly Sins> units increase. If this unit is defeated or withdrawn, can be resortied after a period of time. While deployed, attack of all <Seven Deadly Sins> units and Elizabeth increase. What is Princess [7Sins] class? Ranged unit that heals allies. After AW, can stop demon-type enemy's movement for a short time upon skill activation. Recovers all allies' HP once. Heals all abnormal status for all allies with range. Autoskill. Attack permanently increases. Changes to "Super Magical Healing" after skill duration ends. 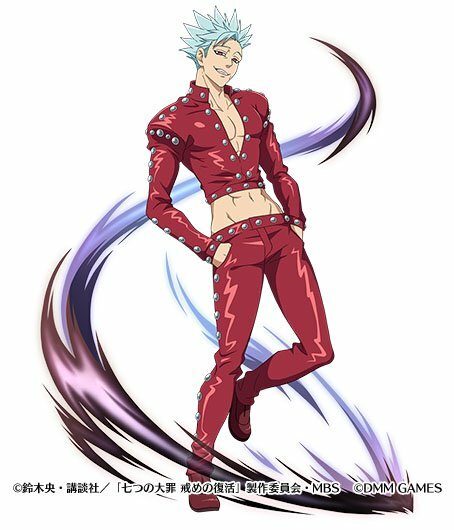 While in an active team, defense and MR of all <Seven Deadly Sins> units increase. 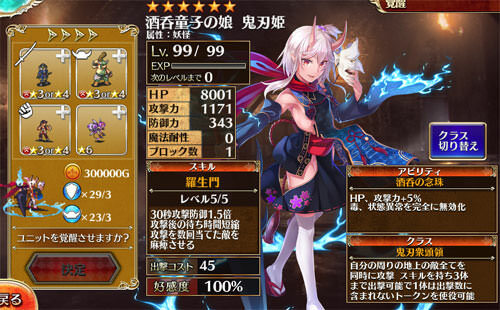 While in an active team, attack for demon-type enemies decrease. 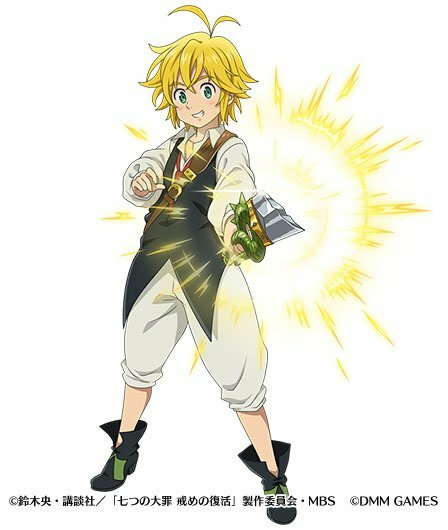 Defense and MR of all <Seven Deadly Sins> units increase. What is Bandit [7Sins] class? Block 1, rarely receive additional gold from defeating enemies, melee class, probability to receive gold increases after AW. Attack increases for a fixed amount of time. When this unit defeats an enemy, obtains additional gold. HP gradually recovers. Invalidates all status abnormality and poison. Even if HP reaches 0, will not be withdrawn and revive on the spot after a period of time. What is Giant [7Sins] class? Block 3, melee class, recovers HP upon skill activation after AW. Defense increases for a fixed amount of time. Only during first skill use, defense permanently increases. Attack and defense increase for a fixed amount of time. Deals ranged attacks and increase damage dealt towards ground enemies. Increase attack and reduce reuse skill time. I hope they add the nameless R-18 versions for these characters like they eventually did with Arslan ones. 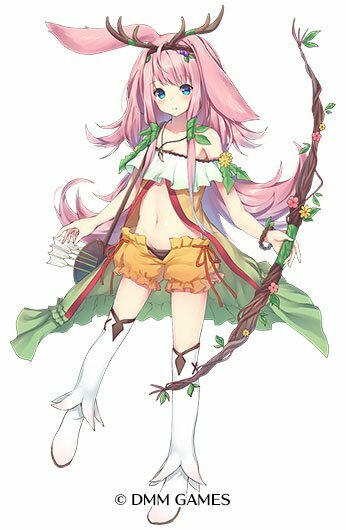 I saw in a previous announcement that you need to get the unit in all ages version, but they'll be visible in r-18 as altered (nameless?) versions. So should be there straight away, I think. 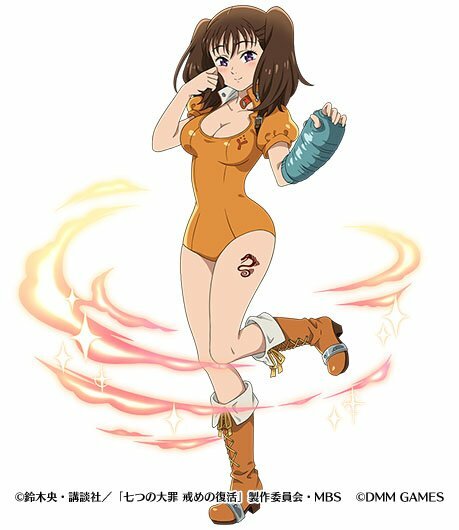 Summoned all I had for Diane only guaranteed platinum was off banner. Didn't get anything fells bad. It wasn't much only around 5 singles. Whatever you can't get all you want. I just don't think they will introduce something as appealing as Giant Diane to me. I have my favorite character in aigis which is Strong Girl Dina and she didn't win voting so low chance for new version I assume sadly. Diane big spirit on map looks cool but all depends if you like characters. I was only interested on Diane and would've skipped it if not for her. They will give free ticket and free summones on anniversary maybe and that's more than inof for me. I didn't have many crystals to begin with so not much difference for me but for people with many it's different story. Made a single, off-timer roll on the 7 sins gacha, got Nakia (the fairly new plat avenger) instead of a collab unit. On a side-note, Noire turned out to be pretty lackluster is my opinion. While I can see her being useful for a newer player, as she can either work as a redeployable token (so long as she got offed during her skill) or an okay melee support DPS unit, I really hoped for some kind of neat gimmick that would justify using her. Oh well, she is still cute, so I don't regret using up all my SCs for the grind. They are planning to implement 2nd Awakening each week on Nov. 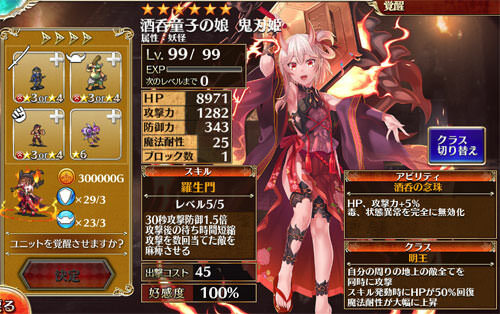 Which are Oni, Heavy Armor, Vampire Lord, 重装砲兵 (not sure what this one, Imperial Cannon??) and Dragon Soldier.